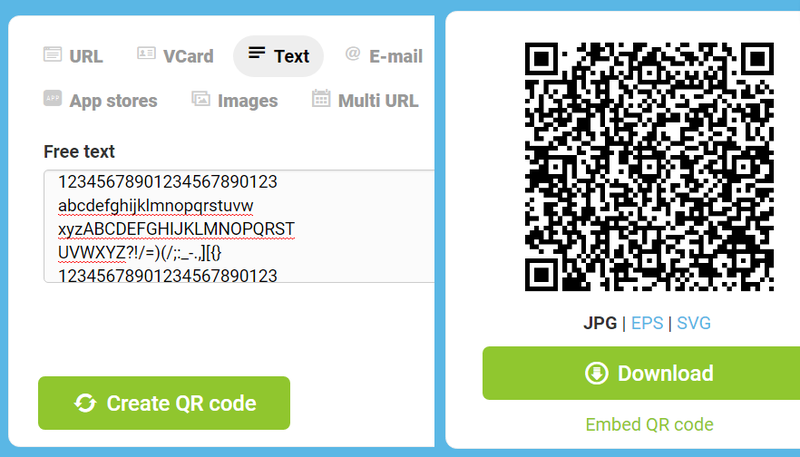 The scan QR-Code feature lets you transfer your password card to additional devices. 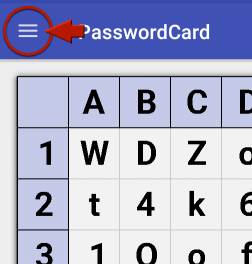 You might also use this feature to define and create your password card according to your wishes. Use printable characters from the ASCII table: You’ll find valid characters in lines 33 (!) to 126 (~) – “letters, digits, punctuation marks, and a few miscellaneous symbols”.